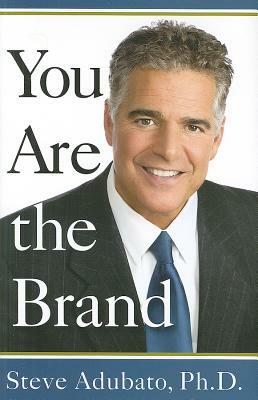 Steve Adubato's entire professional life has been about branding--learning it, living it, making mistakes at it, teaching it at several universities, while discovering how to find the fine line between shameless self-promotion and smart, strategic branding--first for himself, then for others, and now for readers interested in an honest analysis of the good and bad in practiced branding. Are trying to get back into the workforce after years of being "out of it." Let's face it--it's a tough economic world today and there's cutthroat competition. Dive into Adubato's book and get ready to turn a powerful page in life. STEVE ADUBATO, PhD, is a broadcaster, author, and motivational speaker. He is a visiting university professor at New York University and Seton Hall University, Emmy Award-winning anchor for Thirteen/WNET (PBS), and newspaper columnist. Adubato regularly appears on the Today show, CNN, FOX and CBS/2 in New York as a media and political analyst. He is the author of Make the Connection, What Were They Thinking? (both Rutgers University Press), and Speak from the Heart. "Steve is one of the best around when it comes to communicating a message. You Are The Brand renews that high position in which he is held by top professionals." "Steve always has a refreshing take on the events of the day. His voice brings clarity to confusion and his passion is always designed to give more light than heat." "Steve Adubato is a pro! My hat goes off to him because there are only a few great communicators around—and he is one of the best!"